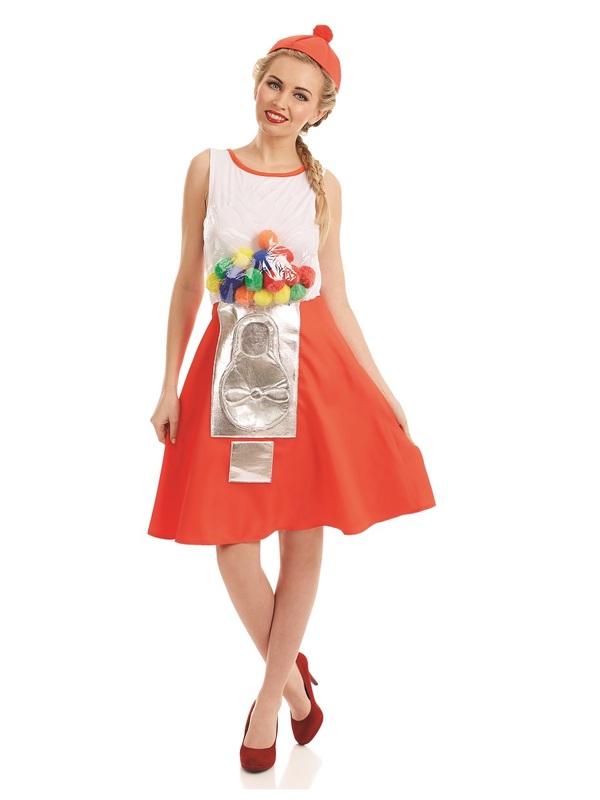 Look Super Tasty in our Adult Gum Ball Machine Outfit! Perfect for Those of you with a Sweet Tooth, our Adult Gum Ball Machine Costume comes complete with the Red and White Dress detailing the attached Pocket with Multicoloured Pom Poms along with the Metallic Coin Hatch Detail. Completing the Costume is the Matching Red Bobble Hat. Small 8 - 10 34½" - 35½" 26½" - 27½" 37" - 38"
Medium 12 - 14 37½" - 38½" 29" - 31" 39½" - 41"
Large 16 - 18 40" - 42" 32" - 34" 42½" - 44½"